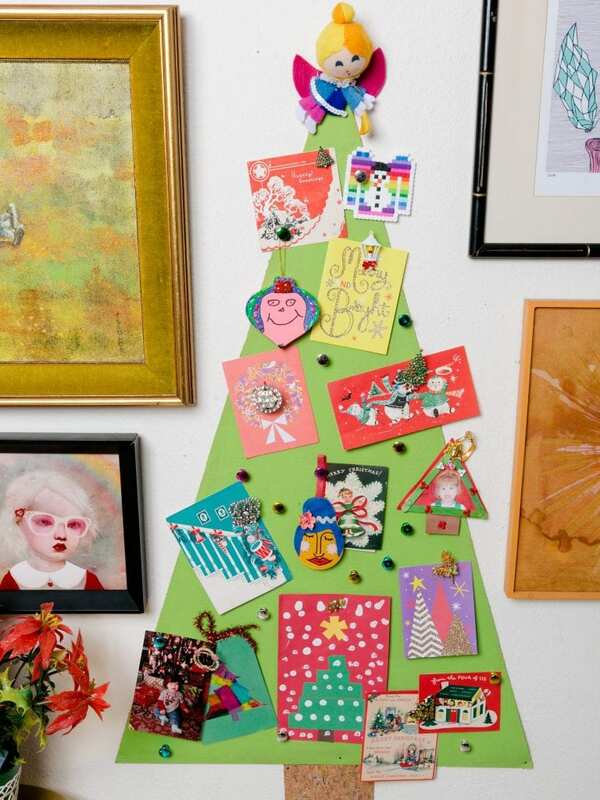 So many cards, crafts and pictures – but where to put them? This year I decided to make a Christmas tree bulletin board out of cork just for decorating. Be sure to hang it low so the kids can help adorn! Check out my full tutorial on DIY Network. Posted December 8, 2015 & filed under Christmas, Holidays. I love this. What a fun, kid friendly, way to display your cards!